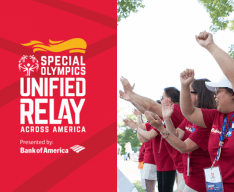 The Unified Relay Across America will see our beloved Flame of Hope passed through all 50 states leading up to the 2015 World Games in LA. Learn more about this incredible event and how you can get involved right here in Philadelphia! The torch will come to us on June 4th through 5th and stay in Pennsylvania until the 10th!